We shall be at the Scottish Caravan Show at the SECC in February 7 - 10 and would be delighted to offer you our knowledge and experience in assisting with a choice of holiday home OR NEW LUXURY LODGE from one of our trusted suppliers. We will be exhibiting one of our NEW 2019 holiday home models. come and see us at the SECC to find out how Point Sands can make your dreams come true. At Point Sands it is quite simple...we care! Point Sands has been a family owned holiday park for 40 years and sits in the heart of the family owned Largie Estate. ​The Point Sands motto is - 'children first' , as parent's ourselves we are passionate about child safety. We are proud that we know every child on the park, and they know us. Whether it is a grazed knee or just a free lollipop, the children know that if mum & dad are not in sight they can always come to the office. 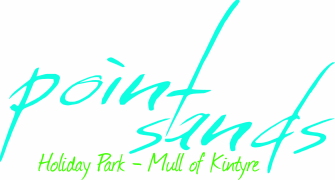 Point Sands takes children back to a childhood full of adventure and exploration in the safety of this private park. Childhood memories are formed of campfires on the beach, den building in the woods and loads of fun on the water. These cherished moments are passed on from generation to generation at Point Sands. The peace and tranquility is quite simply...addictive. To keep up with demand new plots are being developed in various parts of the park and all have sea views! !